There are so many bags with bows on the market right now, no matter what your price point, no matter what your style, you are bound to find one you like. Personally, I am so diverse stylistically that I happened across nine that I love. Well... honestly I came across probably 20, maybe more, but whittled it down to my top nine. 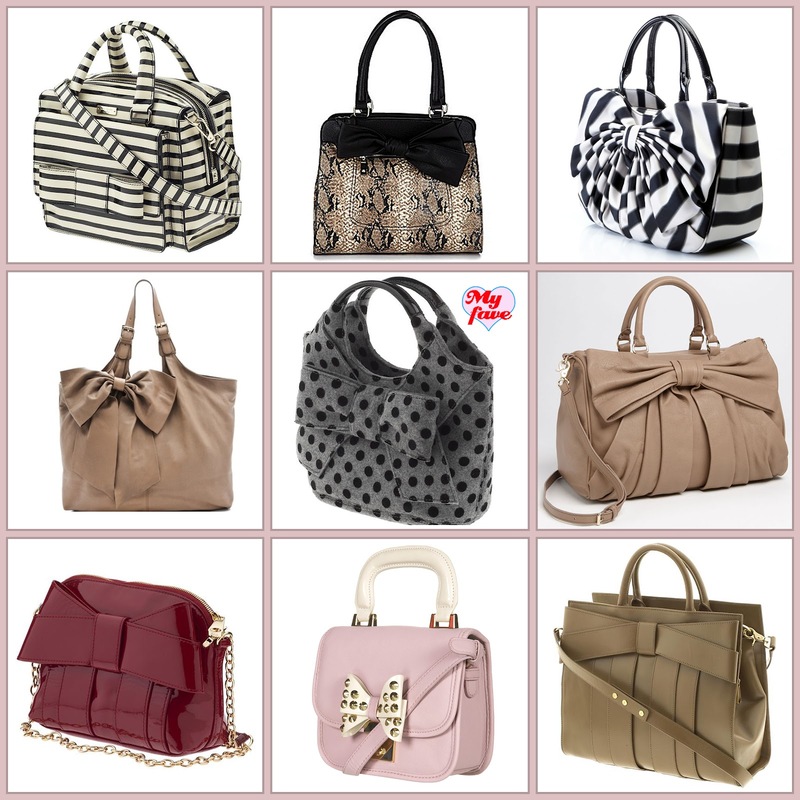 Tough, Sweet, Sophisticated, Evening, Work, which bag would you get the most use out of? Pilgrim Hill Tate by Kate Spade New York via Piperlime My Fave! A structured bag, with polka dots, from Piperlime. Seriously, how am I expected to resist?